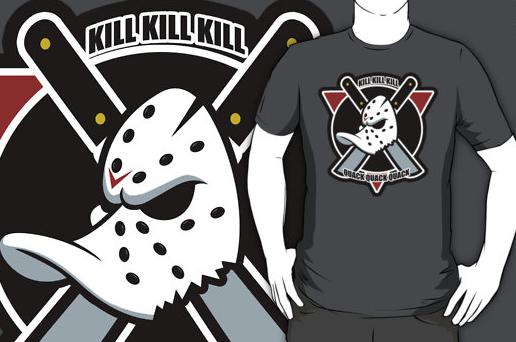 Our Kill/Quack mashup t-shirt is for sale! I'm proud to unveil our latest t-shirt design, Kill/Quack! A mashup between FRIDAY THE 13TH and THE MIGHTY DUCKS. The shirt is available for sale in our Redbubble store for $24.80.